Stuck trying to find the perfect planner to fit all of your needs? Recently I was going from site to site trying to find the perfect daily planner to track the many “hats” that I wear. I started the search in August knowing soon I would be scheduling dates into 2017. Sticky notes in the back of my planner could only last for so long before I would start to lose them. 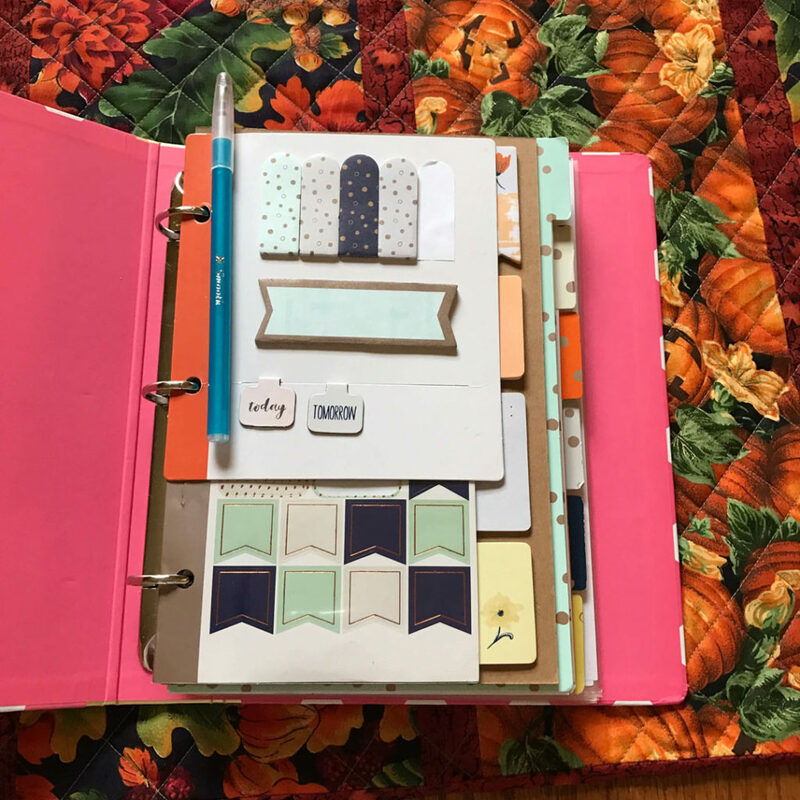 The search was extensive, there were parts from one planner I loved but didn’t like other parts. The cycle continued. The planners I loved the most also cost the most and I wasn’t sure if I could commit to the cost. For just $20 I was able to completely customize my daily planner and I didn’t have to stress over the cost. 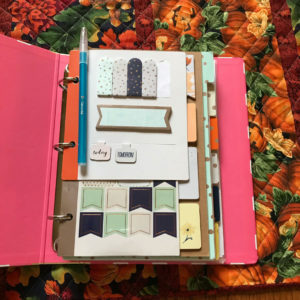 Today, I am going to show you how I did it and how you can create your own planner too. Step #1: Find a binder to hold your planner. Step #2: Customize the months you need. 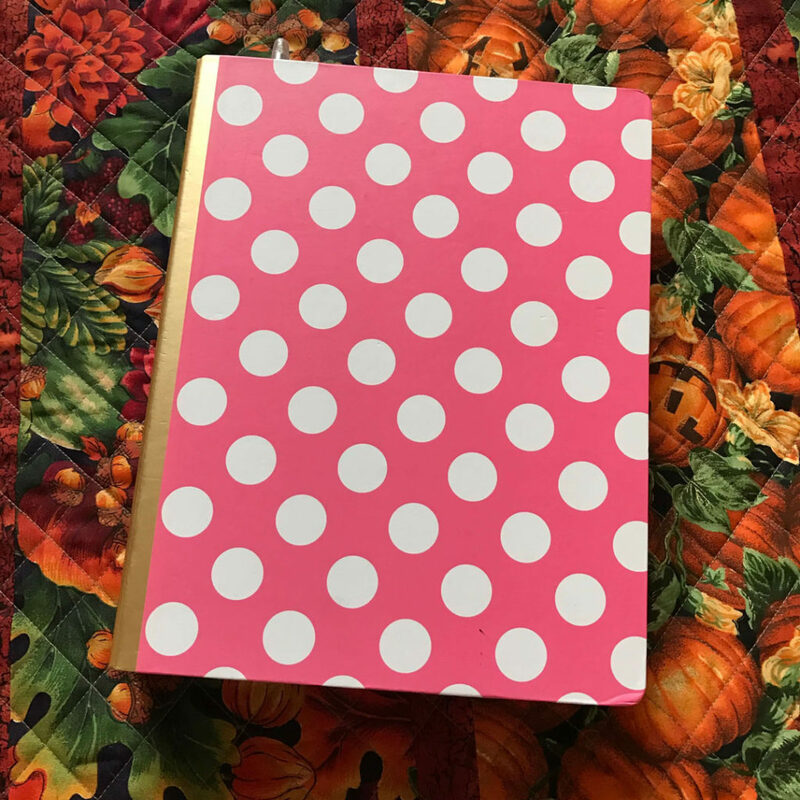 I was able to create my planner starting with October 2016 and continue until December 2017, this way I won’t have to carry around two planners. Step #3: Choose your binder tabs for each week. The different packets I purchased had binder tabs. Behind the first tab was a weekly calendar where each week was broken down vertically with plenty of room to write in my schedule for each day. 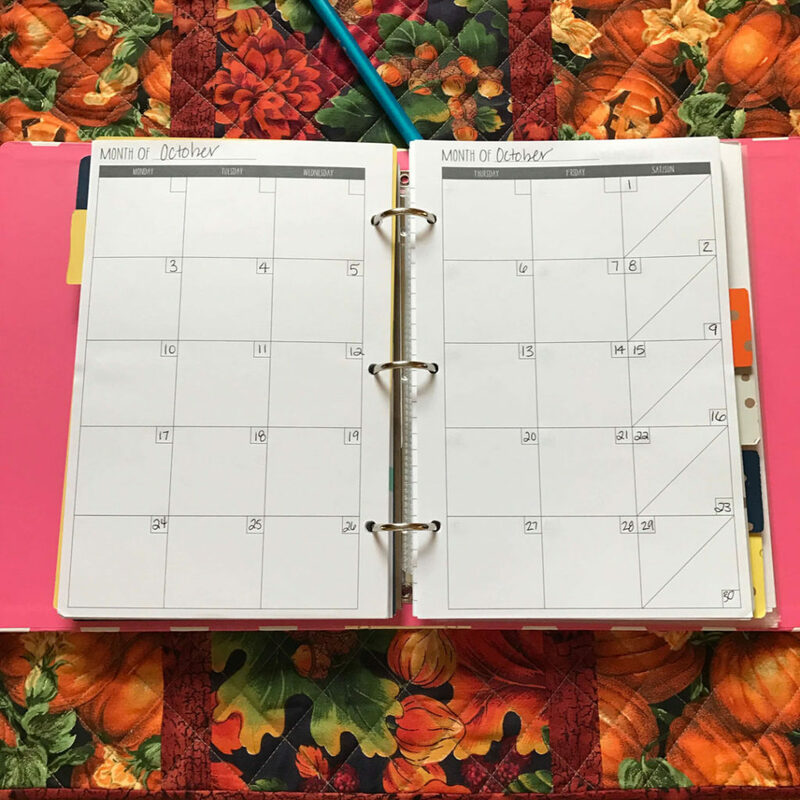 The binder feature also allows me to be able to move a completed week to the end of the year so the current week is in the front and I can still access past dates easily. Step #4: Create calendars for specific projects. The next tab is my monthly calendar; this calendar will solely be used to fill in my Thirty-One party dates and mileage. I love this feature because it is out of the way and not plugging up my everyday calendar. Step 5: Add extra note paper. The three remaining tabs I filled with notebook paper to have my to-do lists, grocery lists, notes, and other things broken down. 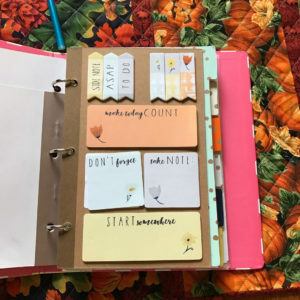 I also purchased a couple sets of stickers that were available that can be used for notes and reminders throughout the planner. I love my new and affordable planner. I plan to buy up the supplies so I am able to do the same for 2018. 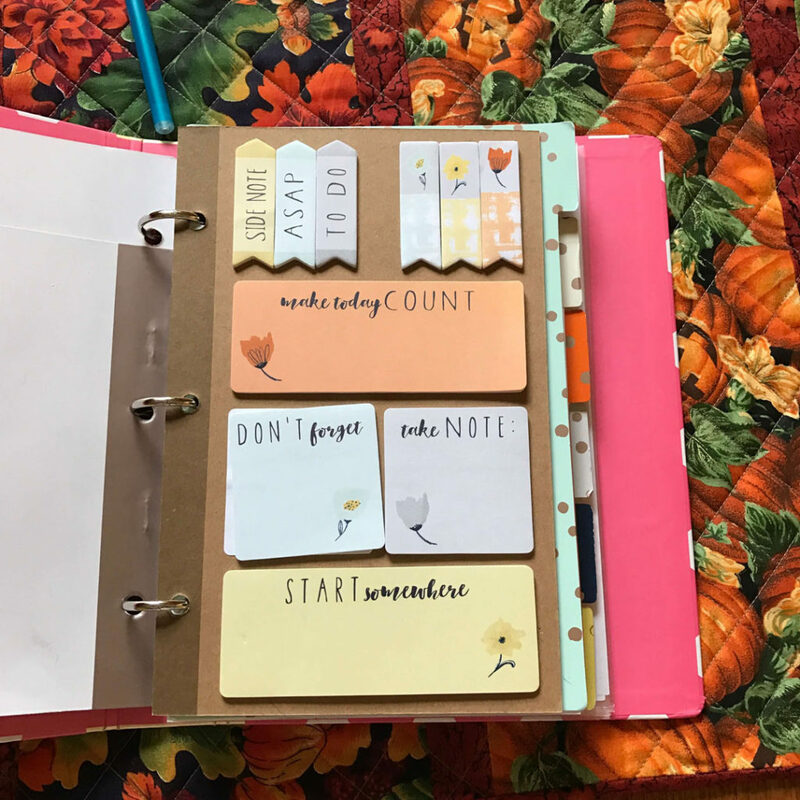 I hope this gives you an idea of how you can create your own affordable planner. The photos I have included are the styles that I purchased, Target had a few layouts available. 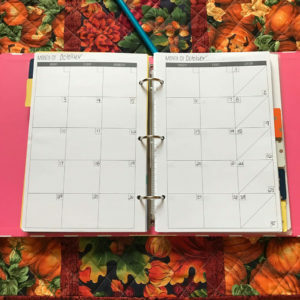 Finding the perfect planner can be hard and you don’t have to spend a lot of money to get the one that is perfect for you. Sometimes what you need is closer than you think. There are so many planners out there that I thought would be perfect for me but couldn’t get past paying so much money for a planner. 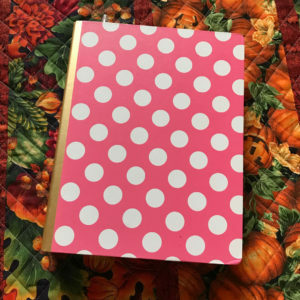 Now, I found a way to get an affordable planner and still have the perfect planner for me in the end and you can too. 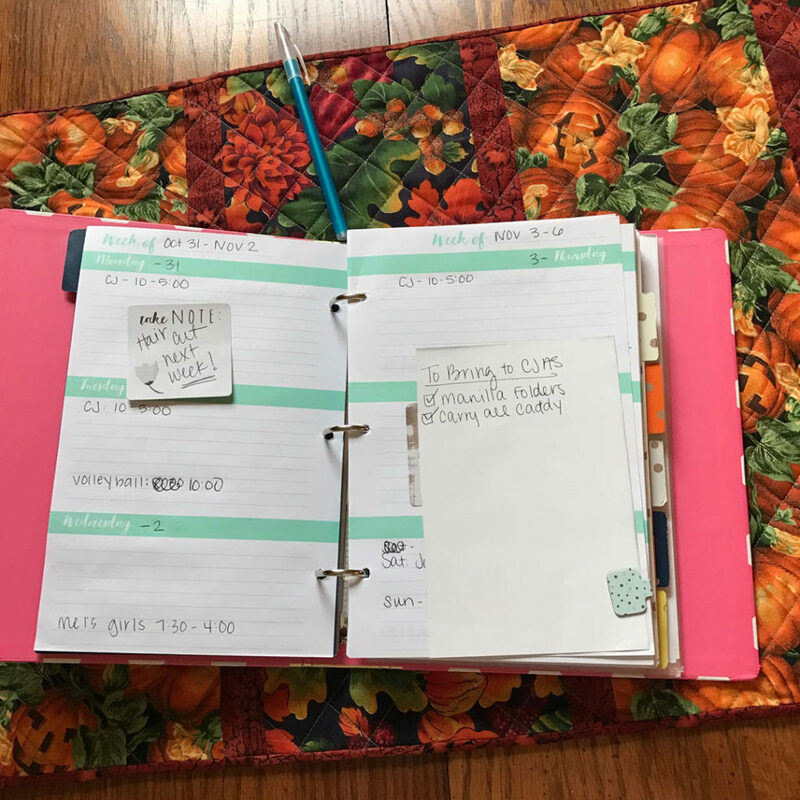 Have you ever made your own daily planner?